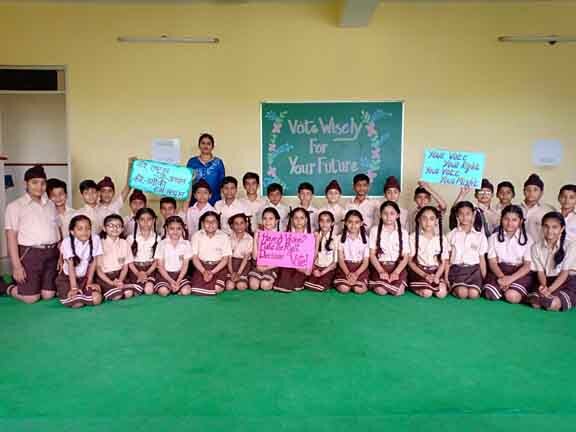 Auro Mirra School of Patiala started the Initiative “Vote for our Future” to sensitize Parents through the voice of Students. Neither any Political Party approached them nor there is any political agenda to woo voters yet they took this initiative. Because for them Moral, Morality and a Moral Science are not mere subjects to teach in classrooms as subjects but a zeal, a responsibility to preach and nip values in buds of future i.e. their students. 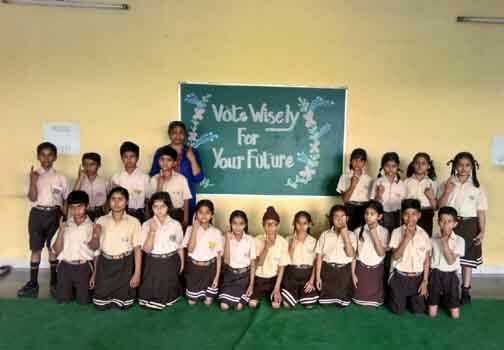 Yes, we are here talking about a school of Patiala who started this initiative namely “Vote for our future” without any order or request of Election Commission department. 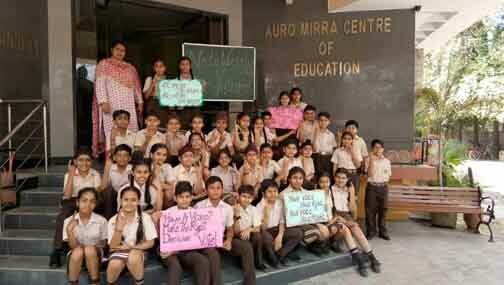 This is a school named “Auro Mirra Centre of Education” situated at SSST Nagar of Patiala. This is not the first time when this school started a social campaign. Earlier they have banned usage of Plastic tiffins inside their school premises. Mind you, they are not doing it for sake of having a “media limelight” because they do not interact much with media for such things even. They run such initiative as part of their duty. 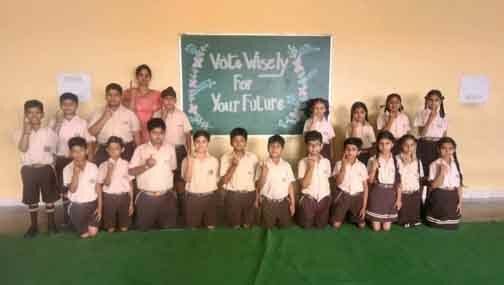 On this agenda Election and sensitization on Voting, Auro Mirra School students are asked to create posters, placards with their wording and convince the society to vote responsibly. Member of Sri Aurobindo Society Mr. K Pawan stressed upon the zeal to feel responsible. He said further that children shall not be taught who is doing what, they shall be taught what shall be done. Matter is not who is contesting from which party, matter is One Shall Vote for their Rights. Talking on this issue one of the school teacher who participated in this campaign, Ms Arundhati Pental says that Children have way more mature thinking and imagination than we elders. They think deep, corruptless, pure for their nation. So, when we preach our students on these issues, they have lot many opinions to voice out. We shall all hear them out. There are many teachers other than Arundhati Pental who participated in this endeavor. Few of them are Ms. Parminder, Ms. Sandeep, Ms. Anita, Ms. Rachna, Ms. Dimple, Ms. Manisha and Ms Manpreet. These teachers took out those thoughts from students which may build a better India tomorrow. Quite an inspiring school and teachers. Our Team salutes you!! This is an ultimate piece. 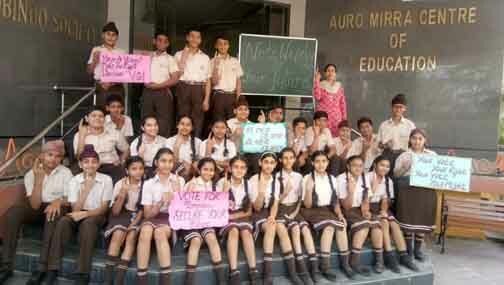 We are given a true lesson by these kids that responsible voting is nation building.